INOCON Technologie GmbH holds numerous patents in the field of plasma hardnesses, plasma welding and brazing as well as plasma coating. This competence has recently been extended by the very successful research in the field of novel plasma coating technologies. INOCON Technologie GmbH runs a series of FFG (Austrian Research Promotion Agency) and Eurostars (Funding of EUREKA and the European Commission) research projects that develop atmospheric plasma applications for coating, activation and welding. A sub-field thereof is the application of atmospheric processes instead of PVD (physical vapour deposition) processes or CVD (chemical vapour deposition) processes, which are at a fraction of the investment costs compared to the vacuum process in use till now, and, in particular, have high automation capability. 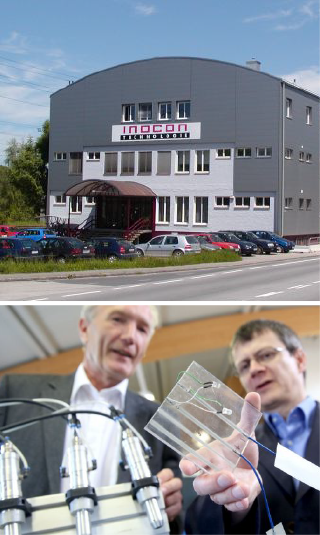 Due to the excellent cooperation with universities, the recognition award of the „Rudolf Trauner Foundation“ was recently bestowed on INOCON Technologie GmbH for exemplary cooperation with research facilities of Upper Austria.